Have a blast, paint, glue, and cut, and keep young minds creative without seeing any more of a dent in your finances. Occupying the kids in a fun way does not have to be expensive with AllFreeKidsCrafts by your side. 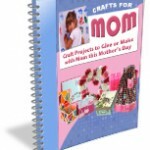 In fact, with the Cheap and Easy Crafts for Kids: 9 Recycled Crafts eBook, it can be nearly free. 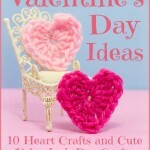 The kids will be begging to return to this free eBook for more imaginative and totally cool crafts that they can make. Whether your resident artists are two or 12, this amazingly diverse eBook has the perfect affordable craft that will bring smiles to their faces and giggles to their bellies. This money-saving craft guide won’t just reduce the cash spent, but it will also reduce your family’s carbon footprint drastically. These wonderful projects are the perfect opportunities to introduce your mini citizens of the world to recycling. Start them young to not only create a habit, but also to get their minds used to finding ways to reuse objects. Encourage their creative thinking to stick around and remind you that a bottle cap is not trash once its bottle is empty. Your copy of this free eBook is awaiting your click to unlock the nine magnificent tutorials which will lead you from an ordinary object to a spectacular, transformed toy. Watch water bottles change into rocket blaster jet packs and egg cartons morph into funny monster friends. Each project will wow the kids and you as you attempt to remember what the materials once were. Don’t throw away those toilet paper rolls just because the last square has been flushed. There are endless possibilities for what that tube of cardboard can become. In the recycled crafts eBook, find out how to transform the cylindrical paper into a feathery bird or beautiful blossoms that no longer resemble that all-too-familiar roll. The kids will love playing gardeners and farmers raising flowers and birdies. 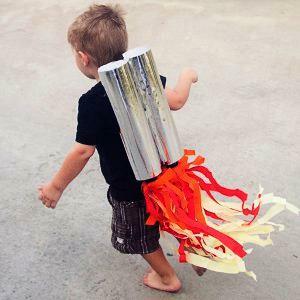 Instead of kicking your recycling to the curb, crack open the secrets of crafting and turn trash into treasure with Cheap and Easy Crafts for Kids: 9 Recycled Crafts. Your kids will find an irreplaceable pleasure in finding new uses for old toys, and it won’t turn out too badly for you either as you save green while crafting green. What is your favorite recycled material to craft with? Last year, I made a resolution to go green. For me, this meant setting up a recycle bin at home and making sure to use it, even when it was less convenient. I also made it a point to repurpose recyclable items like jars and plastic bags. To be honest, I didn’t think it would make a huge difference, but I’ve really seen that every eco-friendly effort is completely necessary. Recycle crafts can be made 365 days a year and tailored to any event. 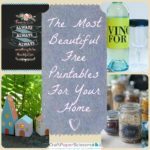 On FaveCrafts, there are free eBooks devoted to the subject (check out 12 Thrifty Trash to Treasure Crafts) and more specific roundups for a variety of materials such as plastic bottles. In fact, you can save the plastic tops from your water bottles and make a Bold Button Water Bottle Bracelet. Green crafting doesn’t end with recyclables, though. You can repurpose an old sock to create a Drawstring Sock Pouch – it’s perfect for carrying little treasures. If you’re a java fanatic, you probably go through plenty of K-Cups. Instead of throwing away all of those little empty cups, turn them into K-Cup Flower Pin Cushions. There’s never a bad time to start a new habit. Once you start crafting with recyclables, you’ll be amazed how much money you save on supplies. Trim your trash haul and help the Earth – not a bad way to start the new year, don’t you think? Time to empty that recycle bin…right into your craft room! With our amazing collection of 659 Recycled Crafts, you’ll find hundreds of uses for Mason jars, toilet paper rolls, egg cartons, paper plates, and even old sweaters! From funky jewelry to beautiful home decor ideas, these trash to treasure projects are the perfect way to use up all those extra bottles and jugs that you have lying around your house. Crafters of all ages and skill levels are sure to find something they’ll love in our collection of 659 Recycled Crafts. Kids will get a kick out of the egg carton projects and paper plate crafting ideas, and adults will enjoy learning what they can do with those empty wine bottles and bottle caps. If you’ve been saving everything from toothbrushes to Mason jars, you’re going to love the projects and tutorials we’ve gathered up for you in 659 Recycled Crafts. 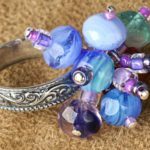 One of the things I love about this collection of projects is that there are great suggestions for using items you never thought you could craft with! Toothbrushes, sweaters, mesh bags, wine bottles, toilet paper rolls, aluminum foil and so much more can be transformed into awesome projects that anyone can do! 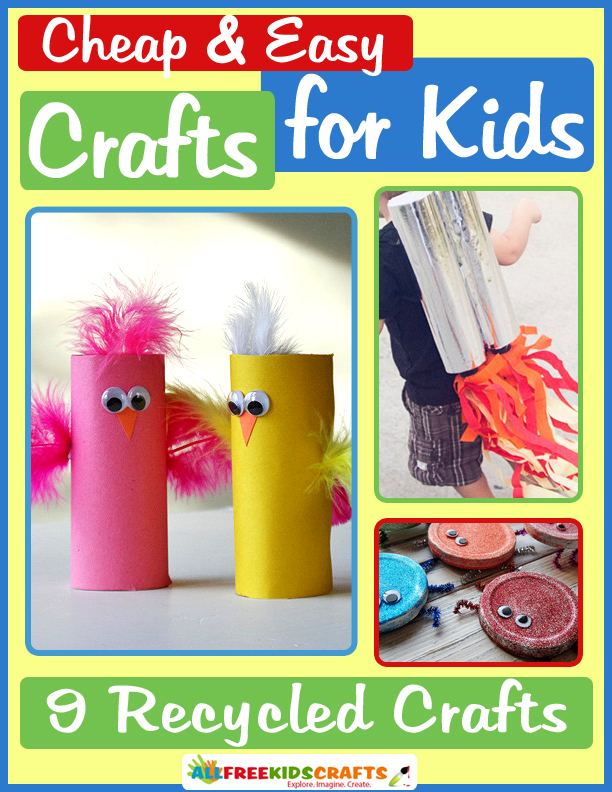 Gather the kids together and dive into the recycling bin for an awesome crafting experience! Many people enjoy drinking a nice, cold beverage to cool down in this 100 degree weather. But after drinking your daily pick-me-up beverage, like Snapple or Diet Pepsi, don’t throw the can away. Try to upcycle your empty plastic and glass bottles. You can reduce, reuse and recycle these plastic and glass containers by making recycled crafts out of them. And since it’s only a few more months until December 1, you can get an early start on your presents and house decorations. Make ornaments, trees, garlands and jewelry out of your recyclable materials. You can create something useful and special for your home, and you get to help the environment. Go green with home decor this Christmas. These Plastic Bottle Bottom Ornaments are so easy to make. You just need one empty plastic bottle per ornament and some bright colored paint. These simple (and free!) ornaments will definitely spice up your tree. Plastic bottles aren’t the only recyclable materials you can use for crafting. Get creative with these flashy green ornaments, made out of toilet paper rolls. Try it out with the whole family! You can also make a cute star ornament out of cardboard, either from a toilet paper roll or a paper towel roll. The little ones will for sure enjoy making this shiny, bright ornament. If you are in the mood to try a more advanced craft, then these Greenhouse Christmas Ornaments are for you. 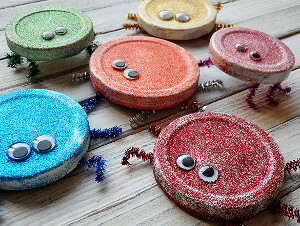 They are eco-friendly and are truly unique Christmas ornaments. 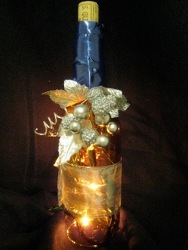 Ornaments are not the only craft you can make with recyclable materials. Doilies are fun to play around with for various holidays, too, including Christmas. Try decorating your home with this stylish Doily Snowflake Garland. It’s so simple to make, and you can help out the environment by upcycling. Save even more plastic bottles to create this adorable homemade Christmas craft. This tabletop tree craft is also fun to make with your kids. Teach them how to be eco-friendly! Another easy green craft to make with your family is an Envelope Gift Bag. This is a fun craft to create when you have run out of store-bought brown bags. Give away these Christmas Candy Cans as gifts this year. You’ll only spend a few bucks, and you’ll be able to treat your friends and family to a cute, homemade gift! You can spice up your jewelry this holiday season with environmentally-friendly crafts. You can even make unique Pepsi Can Earrings for the Fourth of July. Show off your American pride all year long with upcycling soda cans! If you are looking for outdoor decorations for Christmas this year you can light up your porch with a Faux Lighted Wine Bottle. This is definitely one of the more advanced crafts you can do with recyclables, but you have plenty of time to complete this project! Looking to make a fun, sustainable decoration? Make an adorable, eco-friendly craft out of baby food jars, and you can display this project all-year long in your home. You’ll need a lot of materials for this project besides baby food jars — namely wood, ribbons and assorted Christmas decorations. Spend time creating this pretty craft; your hard work and effort will definitely shine through! 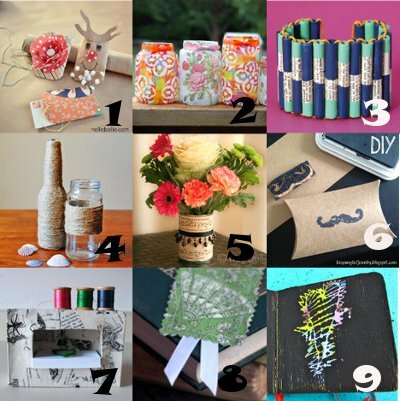 What’s your favorite eco-friendly craft to create? You may not feel like a superhero when you bring a recycling bin out to the curb, but you are in fact aiding in saving the world. The small act of recycling your recyclable materials reduces landfill waste and pollution, conserves resources and helps to keep our world clean and livable. Hooray for you! So what happens if we don’t recycle? Well, among other negative effects, we will literally run out of landfill space and our water and air will grow more and more polluted as time marches on. It would be a bleak-looking future, my friends. Still need more of a personal incentive for recycling? That’s ok. (Even if you’re already an avid recycler, wouldn’t it be nice to be rewarded for your good deeds?) Recycling companies, who are dedicated to keeping our planet beautiful, are fully aware that money is one of the best incentives out there. You might be surprised by the number of ways that you can turn recyclables into cash. And what better way is there to make money than by doing your part for the environment? We all know that if you have a plethora of aluminum cans or glass bottles, you can take them to your local recycling center in exchange for change, but there are lots of other things that you can recycle too, and many of these recyclables can turn out to be much more profitable. Let’s take a look at some lesser-known methods for recycling and making money while doing so. Cash4Berry: use this site’s phone finder tool to find out exactly how much cash you can get back for your specific phone’s model. Cell for Cash: find your phone on their list, submit your information, and send your phone to receive the assigned cash value! They also offer free shipping. Electronics for Cash: appraise your phone using their site and send it in for free. You can receive payment in many ways, from cash to PayPal to charitable donations. BuyMyTronics.com: this site will buy your new, used or broken camcorders, digital cameras, GPS’s and more. Their system makes selling easy and pays you quickly. YouRenew.com: here you can get cash for electronics that have value or easily recycle those that don’t. Sell big items likes laptops and eReaders or small items like calculators and mp3 players. Go green, send items for free and get paid easily at YouRenew. Gazelle: sell or recycle electronics like blu-ray players, desktops, e-readers, gaming consoles, camera lenses and more. Gazelle ranks #24 in INC Magazine’s 500 fastest growing companies in America. Bonus Tip: Don’t have any old electronics to sell? Try checking with local businesses or schools to see if they are upgrading their systems. If so, you may be able to recycle their old models for cash! Cardboard Boxes: Have you moved recently? If so, are you hoarding a bunch of perfectly good cardboard boxes you may not need again? Head to Box Cycle to sell your cardboard boxes for cash! Ink Cartridges: get top dollar for your empty inkjet and laser printer cartridges. It’s easy and free to ship! You could also try Advantage Cartridge or eCycleGroup. Golf Balls: if you’re an avid golfer, chances are you either have a multitude of golf balls or you find old forgotten balls in muddy or wooded areas. However you collect them, use these extra balls to make some extra cash. Make Money by Reducing Your Carbon Footprint: this site actually pays you to reduce home energy use. All you have to do is sign up, create a profile, measure your home energy usage for the past year (and subsequently each month), reduce your energy use and collect what you earn from PayPal. Make Money Off of Your Trash: in their constant effort to eliminate the idea of waste, Terracycle, one of the fastest growing green companies in the world, has created national recycling systems for previously non-recyclable items. Be sure to check out Terracycle to find out how to turn your trash into cash. Donations of old goods may be tax deductible, saving your money even if they don’t make a direct profit. Check with your accountant or the revenue service in your area to see if any of your recycling donations are deductible. 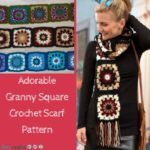 This guest post was written by Tiffany Windsor from Cool2Craft. My sister, EcoHeidi Borchers, and I have had the great fortune to grow up watching the original eco-crafter, Aleene. Momma Aleene started her first business in 1944 and in 1968, she toured the country with her Aleene’s Craftmaker Caravan which is credited with the birth of the craft industry we know today. 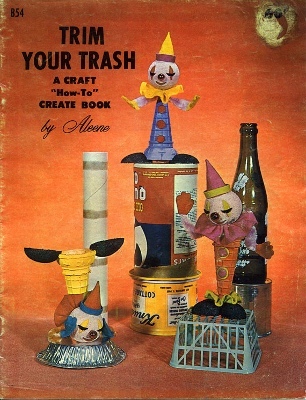 Many of her first craft books featured decorating your discards, trimming your trash and glittering your garbage. 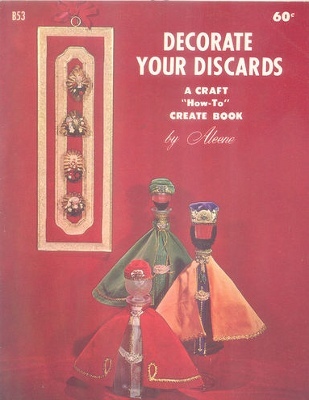 Because of the lack of craft stores in that era, craft designers had to be very creative with their materials, many times reaching for plastic bottles, cardboard boxes, egg cartons, tissue paper, foil, fabrics, food items like pasta, cornflakes and bread, glass bottles and much more. 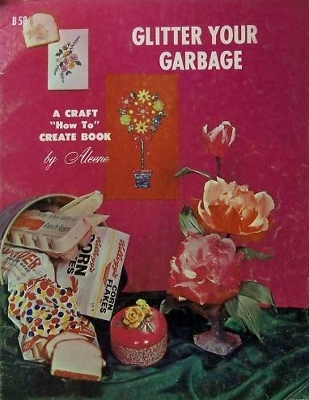 We’ve been diving into our trash bins to upcycle trash long before it was called eco-crafting and we continue to be inspired by the vintage Aleene’s projects as we continue to enjoy dreaming up new ideas from supplies that our Momma Aleene never could have imagined we’d be eco-crafting with… like plastic water bottles! 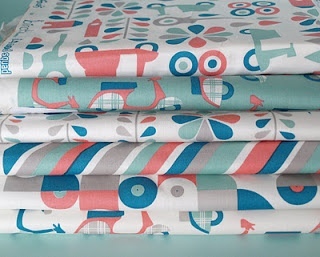 This guest post was written by Andrea for Birch Fabrics. My name is Andrea, and I am the associate of an extraordinary woman whom I am in awe of and inspires me everyday. That woman is Cynthia Mann, the owner and powerhouse behind Birch Fabrics. 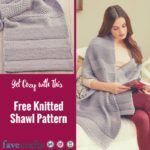 We were thrilled when FaveCrafts contacted us to share our contributions to the Eco Crafting world. I thought it would be fun to share a glimpse into our world and hopefully inspire some of you the same way Cynthia has inspired me. Even more importantly, sharing how eco-crafting and sewing is the best option for our fragile earth and future. Hello Cynthia! I am very excited to share a glimpse into Birch Fabrics with the readers of FaveCrafts Blog! As your associate, I’ve always been in awe of what you have accomplished in a very short 3 years. When did you first realize you wanted to try your hand at manufacturing fabric? I first realized that I wanted to manufacture fabrics when I was looking to buy organic fabrics for my retail fabric company Fabricworm and to sew bedding for my baby son and I just couldn’t find any that had great designs for kids. I realized that if I’m looking for organic fabrics for my kids, then other moms like me probably are too. What affected the decision to produce 100% organic fabric? My husband has strong allergies, and as a child had terrible asthma and we were concerned that our little ones might have similar issues, so to limit the possibility we had begun making strides to live a healthier greener life, cooking with organic foods, using chemical free detergents and household cleaning products, etc. Since we had heard about pesticides and chemicals in dye and the fact that they could be dangerous especially for children with allergies, we were hopeful that we could have their bedding and pajamas made from organic cottons. We researched how traditional cotton is produced, it not only became about the health of our own family, but also the health of our climate and the laborers that work in the fields as well. As one of the pioneering organic cotton manufacturers in the modern quilting market, did you have any reservations about going “green”? We didn’t have any reservations about going “green”. We were concerned that customers would have a hard time understanding the price. This was luckily not the case. It seemed that our concerns for our children and planet translated very aptly into the quilting communities concerns as well. How does the manufacturing of organic cotton actually contribute to a greener earth? Our contribution to a greener earth is in the reduction in pollutants on our planet. Our organic cotton is grown without the use of harmful pesticides or fertilizers and the fabric is printed with low impact dye stuff. The pesticides used on traditional cotton make up approximately 25% of all pesticides used on agriculture, thus releasing harmful toxins in to the atmosphere, which is also extremely harmful for the crop handlers. Traditional dyes often contain formaldehydes and heavy metals that many consumers are allergic to, and unknowingly harm their own skin and health by wearing fabrics that contain these harmful substances. Organic fabric is a bit more expensive than its non-organic counterparts on the market. Were you always confident that customers would want to spend the extra dollars on organic fabric? We assumed that the pricing of our organic fabrics would be an issue initially because traditional fabrics were quite a bit less expensive at the time. However with rising cotton prices we’ve managed to bridge the gap and now the price does not seem to be an issue. In addition to being organic the quality of our fabrics is of a premium construction that also drives the price a little higher. The aesthetic of Birch fabrics is very sweet and very modern, all mom, child, and hipster friendly. What inspired this direction? We are influenced in part by our love for modern design. My husband, Jason (the other half of Jay-Cyn Designs) and I both have a thing for Mid Century furniture, homes and accessories. Jason is part Japanese, and he’s influenced in many ways by Japanese design and culture. 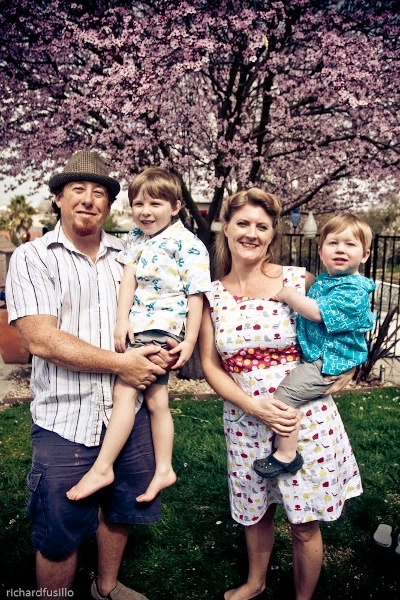 Our two young sons Anderson and Keaton are the inspiration behind our child friendly look! You’ve worked with designers Monaluna, Dan Stiles and now Rebeka Ginda. How would you describe the collaboration process? Super Fun! We love working with talented designers. We’ve been so fortunate to find designers who have such a similar aesthetic to our own. When I saw Jennifer Moore of Monaluna’s work for the first time, I knew immediately that she was a perfect fit. The collaboration process begins with a concept typically. We generally have an idea for a collection and then we either seek a designer with which we’ve seen similar concepts from that will marry well with our own expectations, or in some cases we see a designer’s illustration that strikes a cord, and from that one illustration a collection develops around it. 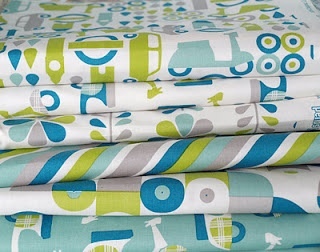 One thing (among many) that really stands out about Birch Fabrics is the fresh color palette. What is your relationship with color? Do you have the final say on all color adjustments? When I consider the design process and what I personally bring to the table it’s definitely color. I wouldn’t call myself an artist, especially not by trade. But when it comes to color, it’s really been the one thing that consistently has played a role in my journey to this point. When I was young I had all of the crayons colors memorized. I’ve just been into color as long as I can remember. My mom was a great help because she knew the names of every color for every shade, and I must have gotten that from her. I remember asking her “what color is this?”, “what color is that?” I definitely tend towards colors that I connect to from my childhood, I guess you could call them retro. And yes, I do have the final say on all colors. You’ve taken on quite a bit of design work yourself, along with husband Jason Rector. Did you always dream of one day designing your own prints? I had dreamed of designing fabrics since the day we started manufacturing, but what I didn’t realize is that it was a real possibility. Jason has been a graphic and multimedia designer for over two decades, but I didn’t realize that he could use the same programs to design fabric. We started playing around with some ideas and before we knew it we had a whole collection. It’s one of the most exciting moments in my whole career. How is it, working as a husband and wife team? And what duties do each of you take on in the design process? Working as a team with my husband is one of the best perks of the job! He’s my best friend and we have a very similar work ethic. We both like to get things done! We hardly rest, especially when we are excited about a new concept. As far as duties there is quite a bit of crossover. With most of our collections we are both drawing and then sort of picking and choosing between each others’ assets to complete a collection. Jason does all of the digital design work, and I choose all the colors. Jason handles all of the print advertising, website updating, file formatting, etc. I handle all the wholesale ordering, fulfillment, marketing and trade show planning. You’ve just released Mod Basics, a basics collection with flair, designed by you and your husband Jason under the name Jay-Cyn Designs. Some would say that releasing a basics collection is a true testament of intended longevity in this industry. Is this a collection that you plan to keep around? When working on Mod Basics our intentions were really pretty simple. Our brand needed basics. With so many of our collections already in the marketplace that had a very specific print driven concept, we knew that many quilters would be looking for coordinates to complete quilts, especially if they were going for a completely organic quilt. They would be hard pressed to find a single organic polka dot or stripe that would match the prints that they were working with. Having a collection of basics was important to rounding out our brand. 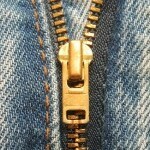 You’ve got a lot under your belt. Husband, kids, school activities, and two successful businesses. How do you handle it all? In other words, what’s a day in the life of Cynthia Mann look like? Wake up at 7am, drop the kids off at school by 8am, check calendar, catch up on email for a few hours, check in with the store, ship orders, work on Birch Designs, really accomplish as much as I possibly can, then off to pick up the kiddos around 4:30pm. We are almost always working toward a deadline for something, which can get chaotic at times. But we still try to enjoy life too! What can we expect from Birch Fabrics in the future? Birch Fabrics is always looking toward growing and sharing great organic fabrics with our customers. We are hoping to release a new line of substrates in the near future including Home Dec weight canvas and possibly a line of flannel. 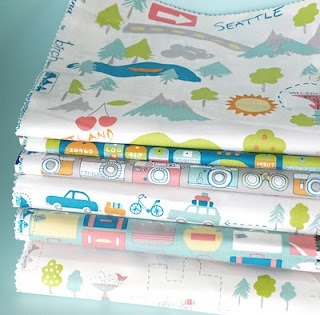 We have several great collections of quilting cottons coming this fall, so be sure to check in on our website www.birchfabrics.com for our latest releases. 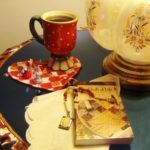 This guest post was written by Becky Striepe from Glue and Glitter and Crafting a Green World. Today’s green crafting posts are sponsored by Artterro! Check out how to enter to win a crafting kit and you’ll also get a coupon code for 20% off your order! Whether you just made the leap recently into selling your crafts or have been a crafty pro for years, there are lots of easy little ways that you can make sure that your DIY business is as good for the planet as it is for your soul. We talked a little bit about greening your crafty business on the April edition of the FaveCrafts podcast, and I thought I’d share a few more tips with you guys here. The key to successfully greening your business, in my opinion, is to go easy on yourself. If you try to do everything all at once, you’re just going to get overwhelmed and burn out. Try not to focus on what you aren’t doing, and give yourself a high five for each step that you take. Maybe this month you start collecting your recycling and next month you worry about sourcing sustainable marketing materials. It’s all about just starting. Do what you can, and before you know it you’ll be running the green crafty biz of your dreams! Here are some ways that you can start making your business more eco-friendly today! This one’s especially easy if your city offers curbside recycling. All you need to do to get started is get a few bins for your paper, plastic, and metal recyclables, and you’re ready to rock! It’s also a good time to check out your town’s waste management website to see what they do and don’t accept. If curbside isn’t an option, I recommend checking out Earth911 to find a drop off recycling center near you. Bluegrass Print – This isn’t a 100% green printer, but the price is right! You can choose from their green paper options to make your print job more eco-friendly. Greener Printer – These guys are top notch! They cost a bit more, but on top of eco-friendly paper, they use soy-based ink, and their whole operation is wind powered. You can also make your own promotional materials. Over at Crafting a Green World, we have a roundup of DIY, green business card ideas and some ideas for making your own eco-friendly price tags! Using less paper not only makes your business greener, but it can save you money. Instead of printing and mailing newsletters, catalogues, and even craft show applications, start building your email list and send virtual versions instead. You’ll save trees and cash at the same time. Even if a show asks you to print and mail your application, you might still be able to email it. Lots of crafty applications are online now, but when they aren’t, organizers are often open to receiving an emailed application and PayPal payment instead of mailed app and check. It doesn’t hurt to ask, just be polite! Use a critical eye to see where you can reduce plastic or use reusable materials. Sure, it’s easy to grab the Uline catalog and order some packaging materials, but before you pick up the phone, take some time to think outside of the box. Ask yourself how you can make this more sustainable. Can you use minimal packaging? What about reusable packaging? One of my favorite green packaging solutions that I have run across was at a craft market in Asheville. A t-shirt vendor packaged her tees in a glass Mason jar. How smart! Even if you can’t ditch the disposable packaging, can you do it more sustainably? Craft paper, for example, is a greener option than other paper and certainly better than plastic packaging, because it contains a high recycled content. It’s always better to choose metal, glass, and paper over plastic. When it comes to making that crafty display greener, the thrift store is your friend! Choose thrifted linens to dress your tables instead of store-bought tablecloths. Suitcases, fun baskets, old shelves–a fresh coat of paint turns these thrifted items into awesome displays. The idea is to look at thrift store housewares from a new angle. Don’t think about things as what they are but what they could be with a little bit of crafty love. The one part of the crafty display that I haven’t figured out how to green up is that big, white tent. If you can find a good tent second hand, that’s definitely a greener option, but those are tough to find! When you can’t sort out a green alternative, my rule of thumb is to choose something that will last. It’s much greener to spring for a good quality tent that will last you years than skimp on a cheap one that you’ll have to replace over and over. This saves you money in the long run, too, since by the time you replace that cheapo tent a few times, you could have just bought an EZ Up. Chief Seattle, a Native American leader and early environmentalist, emphasized the importance of living an evironmentally-friendly lifestyle. Native American cultures taught their children to value nature and the efficient, non-wasteful use of natural resources because they understood that the Earth provides us with a home and all of our basic needs. Earth Week is based upon this wisdom. The Earth Week mantra is simple: Reduce, Reuse, Recycle. It is vital to reduce one’s environmental impact because we must keep the future clean and green for the benefit of our children and future generations. This is especially true for us crafters, who can potentially create a lot of waste in the creative process. 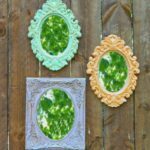 Fortunately, green crafting offers a simple and fun way for children and adults to repurpose old items and used items to create something amazing, and FaveCrafts can help! 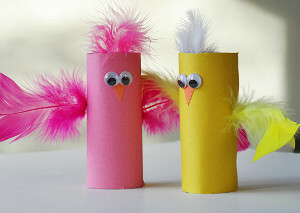 We can begin teaching our kids from an early age that more bird will sing in the trees if people use waste materials to make recycled kids crafts instead of adding to another landfill. If you know a little crafter who loves the Earth, keep reading for a chance to win a special eco-friendly prize from Arterro! Bottle Cap Necklaces: Don’t toss those caps! Make them into fun beaded jewelry from recycled materials! Earth Day Cupcake Toppers: Make these easy and fun cupcake toppers from AllFreeHolidayCrafts.com for a cute and crafty flair. Board Games Used for Crafts: Reuse parts of your favorite board games instead of throwing them away with fun tips from FaveCrafts! Easy Earth Day Window Decorations: Kids of all ages can enjoy making these fun Earth-themed window decorations from FaveCrafts! Spoon Pendant: Green crafting is the ultimate chic this week! Check out all of the recycled kids crafts on AllFreeBeadedJewelry! Altered CD: Instead of throwing away used CD, embellish it for an exciting decoration! Recycled Happy Meal Toy Wreath: Incorporate Happy Meal toys into an exciting decoration for the playroom from AllFreeHolidayCrafts.com! Santa Claus Baby Food Jar: Save those baby food jars so you can repurpose them into fun recycled Christmas crafts for kids and adults. If you liked these crafts, click the button below to enter in our exciting Earth Week Giveaway! You have a chance to win a special prize from Artterro by clicking the link below and commenting on the Giveaway post. Artterro Eco Art Kits are a great way for kids to express their creativity in an Earth-friendly way. Click the Giveaway button above and comment on the Giveaway post to enter the giveaway from Arterro! How do you teach your kids to take care of the Earth? Eco Friendly Craft Kits by Artterro: You Can Win One! We are winding down Earth Week here at FaveCrafts and boy has it been fun! We’ve already had two giveaways on the blog, a Twitter Party, and lots of projects and fun green crafting ideas! It’s been great having you all join us! Well, we’re winding down, but we’re not done yet. 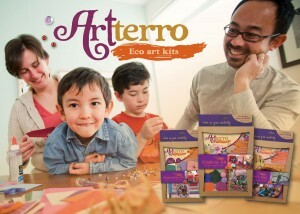 Today we wanted to introduce you to Artterro Eco Art Kits! The company grew out of a search for eco-friendly, open-ended art projects with beautiful materials that you can make with your kids! With these goals in mind, the company makes high-quality and eco-friendly art kits that you can make with your family, friends, or large crafting groups! The Artterro kits are not only filled with eco-friendly craft supplies, but the packaging itself is reusable! How cool is that? Once you’ve finished making your craft project, you can transform the box into a frame to proudly display the artwork created by you or your kids. They really are doing everything they can to create a high-quality, sustainable product. But don’t take my word for it! Artterro is offering 20% off your order through then end of April with the code Earth20! We’ve also set up another way you can try Artterro’s products – with a giveaway! It couldn’t be simpler for you to win a crafting kit, just answer the question below in the comments section of this post and you’re entered to win! Contest closes April 26, 2012 at 11:59p CST. What was your favorite craft as a kid?